How to find us, local attractions, and points of interest. We are located two minutes from the main Causeway Coastal Route (A2) which is signposted and runs between Londonderry and Carrickfergus. 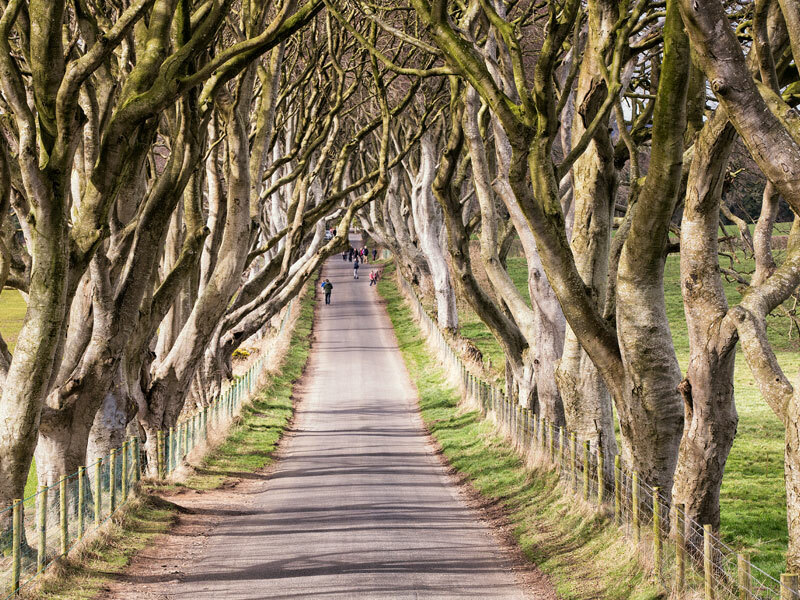 This is the designated tourist route along the North Coast of Northern Ireland. 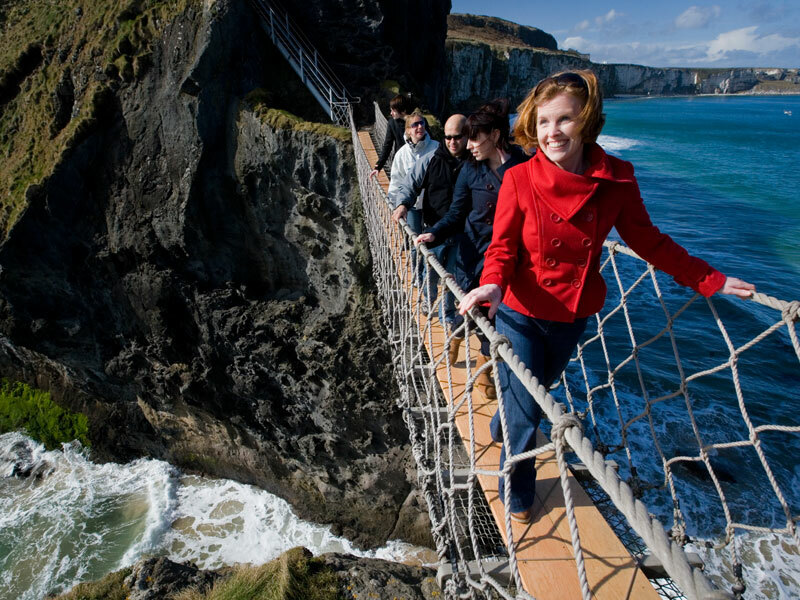 Once you arrive at Bushmills / Giants Causeway or Ballycastle / Ballintoy / Carrick-a-rede Rope Bridge you are within a couple of miles of our accommodation which is located mid way between these two attractions. Travelling from the West via Bushmills, take the main A2 coastal road (Whitepark Road), pass through the small village of Lisnagunogue, and at the other side of the village you will see a signpost for "The Causeway Lodge" on the right taking you onto Drumnagee Road. Continue to the end of this road, we are located just to the right of this road end. Travelling from the East via Whitepark Bay, virtually opposite the road to the Whitepark Bay car park and Hostel, you will see a road to the left (coming from the direction of Ballintoy/Carrick-a-rede rope bridge). This is the Moycraig Road and we are situated 1.2miles (2km) along this road on the left hand side. Take the M2 towards Ballymena, then the A26 to Ballymoney. Follow signs for Portrush and take the B62. After 6 miles turn off right signposted Bushmills onto the B17. Follow directions above from Bushmills. Take the N1 North to Dundalk, then The A1 North to M1 to Belfast. Follow directions from Belfast then Bushmills thereafter. Take the A2 towards Limavady, then follow the A37 onto the A29 to Coleraine. Follow signs for Bushmills at ring roads. PLEASE NOTE: As our location is in a rural area, we have found that Sat-Nav systems will not bring you directly to the premises and may take you to the wrong destination. If using Sat-Nav devices please set them for Bushmills town and follow the map and directions on this page, or telephone us when you arrive in Bushmills town and we will direct you. This Landmark boasts some of the most beautiful scenery that you are likely to come across anywhere in the world. 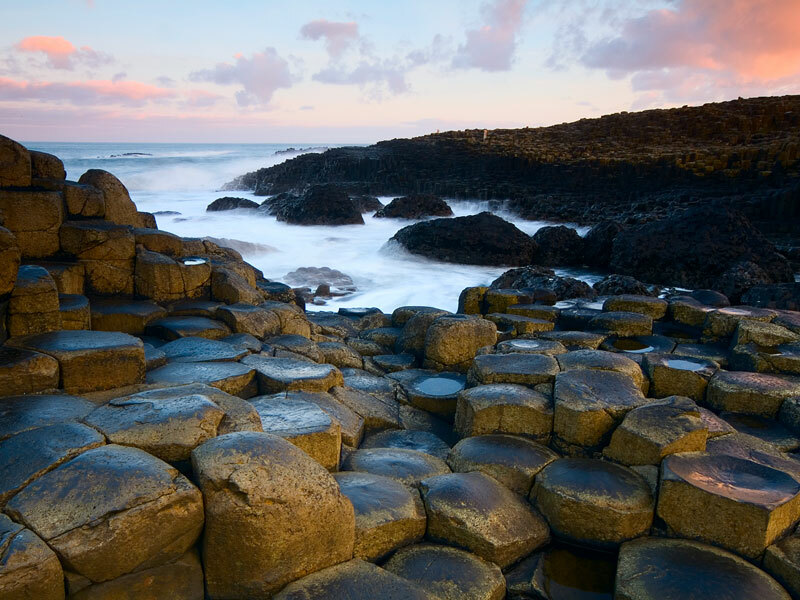 Renowned for its polygonal columns of layered basalt, it is the only World Heritage Site in Northern Ireland. Resulting from a volcanic eruption 60 million years ago, this is the focal point of a designated Area of Outstanding Natural Beauty and has attracted visitors for centuries. Carrick-a-Rede Rope Bridge is a rope suspension bridge near Ballintoy. The bridge links the mainland to the tiny Carrick Island. The site is owned and maintained by the National Trust, spans twenty metres, and is thirty metres above the rocks below. Traditionally fishermen erected the bridge to the island to check their salmon nets, but today the bridge is mainly a tourist attraction, with over 250,000 visitors each year. 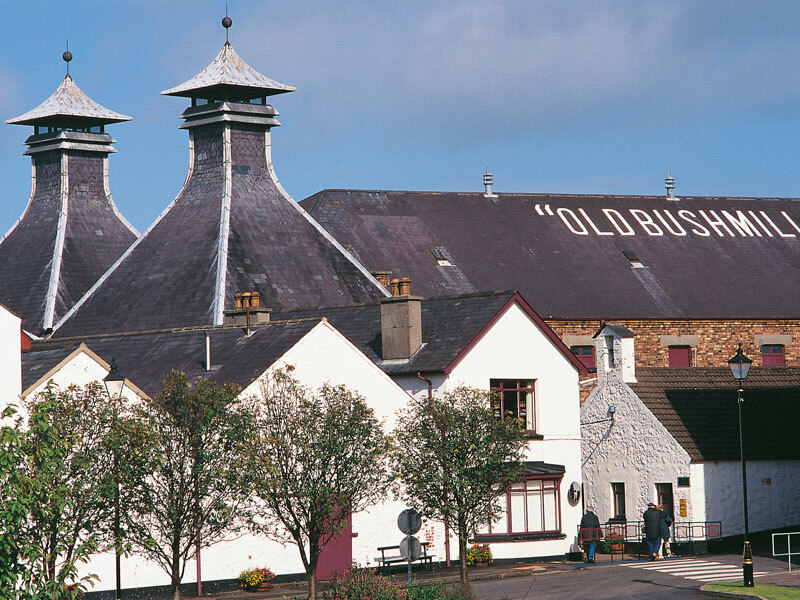 The "Old Bushmills" Distillery is the world's Oldest Licensed Whiskey Distillery and is the last working Distillery still open to the public in Ireland. Founded in 1608 the whiskey is produced, matured, and bottled on-site with visitors being able to observe the craft and skills of making Irish whiskey. It is world famous for its quality and is another attraction that should be experienced when in the area. Dunluce Castle is sited dramatically on the edge of a basalt outcropping along the North Antrim coast between Portballintrae and Portrush. 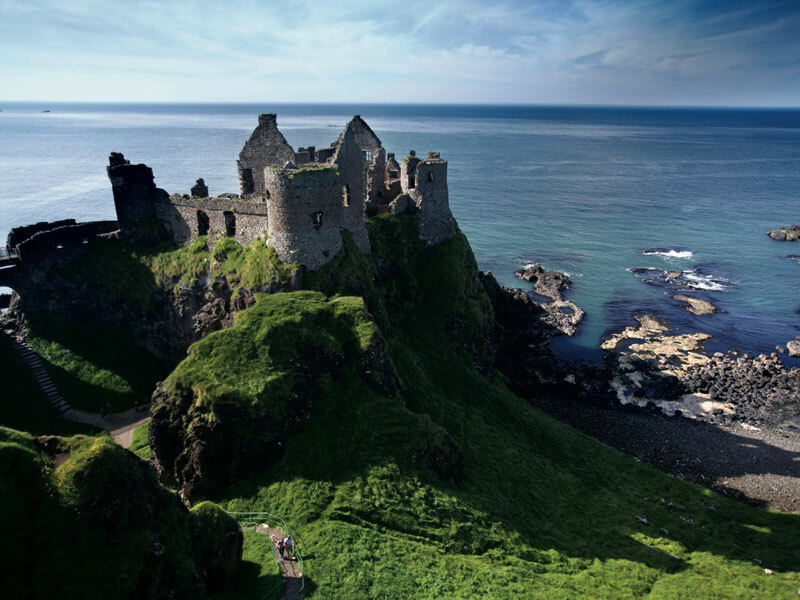 Surrounded by jaw dropping coastal scenery, this medieval castle stands where an early Irish fort was once built and where its history can be traced back to early Christians and Vikings. The castle has a visitor centre, shop, and daily guided tours. From the base of the Antrim Glens at Cushendall and all along the world famous North Antrim and Causeway Coast you will find golden sands and pebbled shores to rival any stretch of coastline in the world. 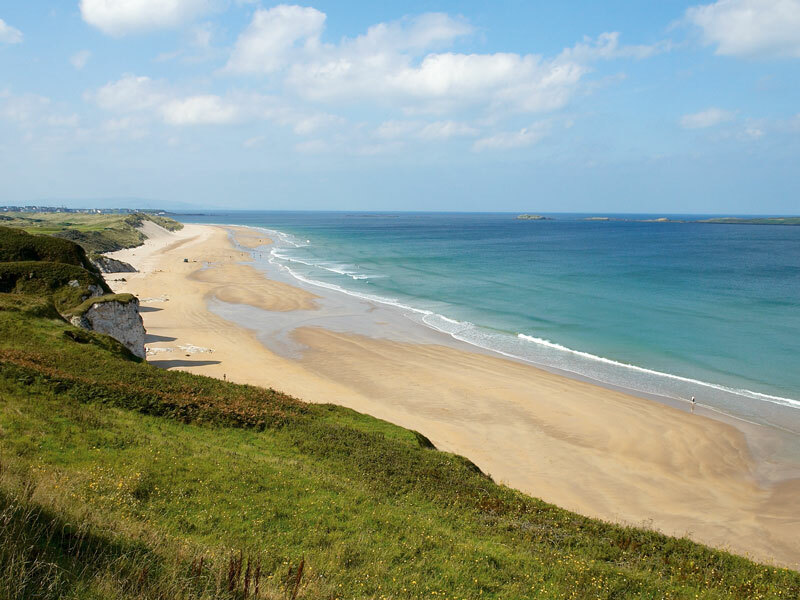 Long "Strands" at Ballycastle, Whitepark Bay, Portrush and Portstewart offer relaxing walks, and small rocky coves in Ballintoy and Portballintrae give you secluded and tranquil stretches to explore. 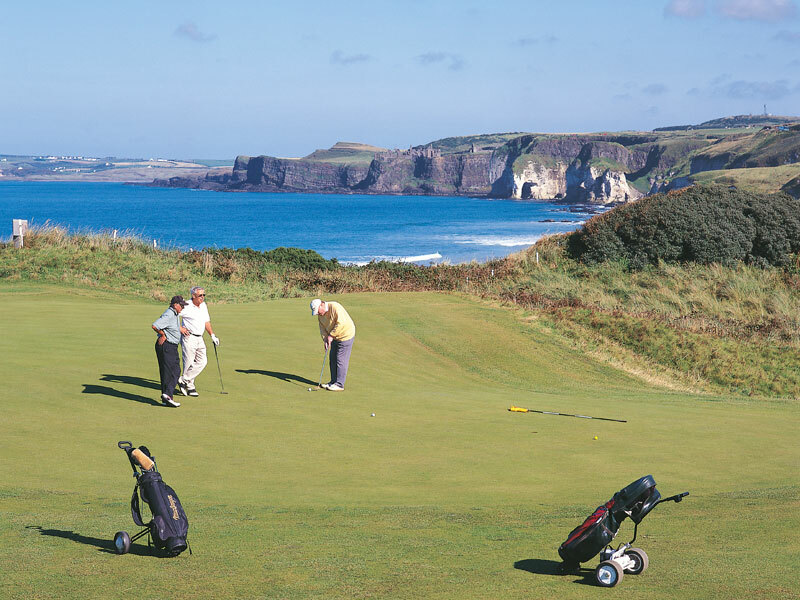 Royal Portrush Golf Club is home to one of the best and most challenging links golf courses in the world, the Dunluce Links, and the hidden gem, the Valley Links. The only club in Ireland to have hosted The Open Championship which will again return in 2019, Royal Portrush is a members club which welcomes visitors all year round to face the challenges of its courses and to brave the testing conditions.